Fed up with the violent conflict that has recently engulfed their country, musicians in the west African nation of Mali have come together to call for peace. More than 40 of Mali’s most talented musicians gathered in the capitol city of Bamako to record a song for peace and unity called “Mali Ko” (which means “For Mali”). They collectively call themselves the Voices United for Mali. The 2013 edition of the Festival in the Desert will be a touring Caravan of Peace, called the Festival in the Desert in Exile. It will be a caravan of artists promoting peace and national unity in Mali, travelling from Mauritania to Mali and onto the Tuareg refugee camps in Burkina Faso. The caravan will last from February 7th to March 6th 2013…. The largest gathering of humanity is taking place in northern India, a unique event that blends religious and cultural features, in an atmosphere saturated with the scent of burning incense, and the sound of chiming bells, Vedic hymns and mantras, and the beating of countless drums. 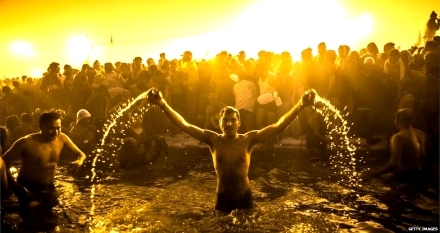 More than 100 million people are expected to attend the two month festival and bathe in the waters of the Ganges River. 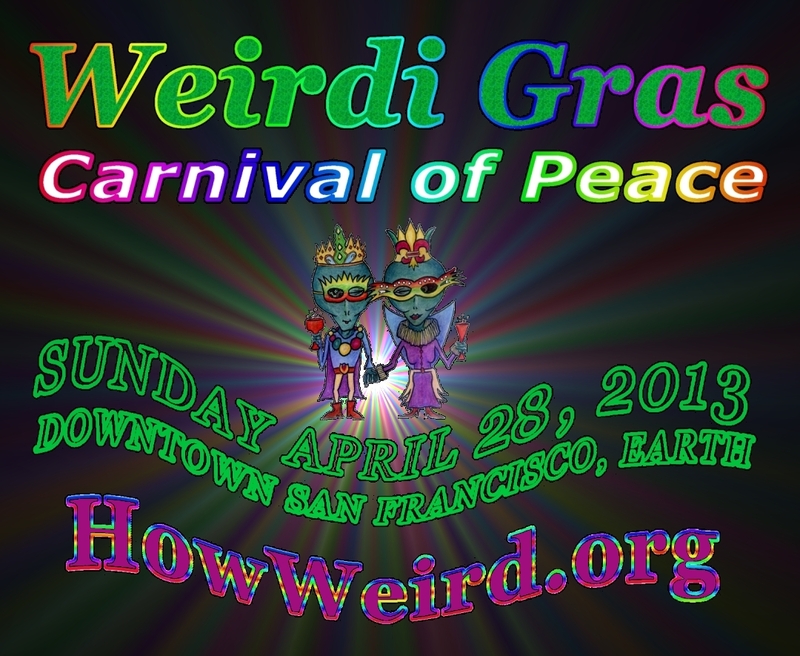 For more than 2,000 years, the festival has been the main meeting point for the Hindu sadhus or holy men, giving people the opportunity to meet with the devotees of the various religious orders, and learn from the many religious teachers and spiritual masters…. In 2001, the last time the Kumbh Mela took place, more than 40 million people gathered in an area smaller than 7.7 sq. miles (or slightly larger than San Francisco). This year they are expecting over twice that number, making it the largest gathering of humanity ever held. Yet in spite of all the people and chaos, it is a peaceful event. Psychologists from St. Andrews, Dundee, and Lancaster Universities in the UK, along with several Indian institutions, completed a study in 2007 into Kumbh Mela in Allahabad. What they found along the banks of the Ganges River overturned many long-held beliefs about crowd behavior. Professor Steve Reicher, of St. Andrews, stated that “the mela is much more than a wonderful spectacle. It promises to unlock the secrets of how large communities can live together in harmony”. The Kumbh Mela brings together the equivalent of over 20 times the population of the entire Bay Area in one place, yet there is virtually no disorder, crushes, or rioting. And even though people at the festival came from very different castes and social backgrounds, there was a strong sense of common identity. This positive outlook stemmed from a lack of the “them-and-us psychology” which is often at the root of social conflict.